Big News from the U.S. Supreme Court! Trinity Lutheran Church operates a preschool in Missouri. In 2012, Trinity applied for a playground resurfacing grant from the state. Obtaining the grant would allow Trinity to receive reimbursement for resurfacing its playground with a safer pour-in-place rubber surface made from recycled tires. The state awarded 14 grants that year, but while Trinity’s application was ranked 5th out of 44 applications, the church was denied. 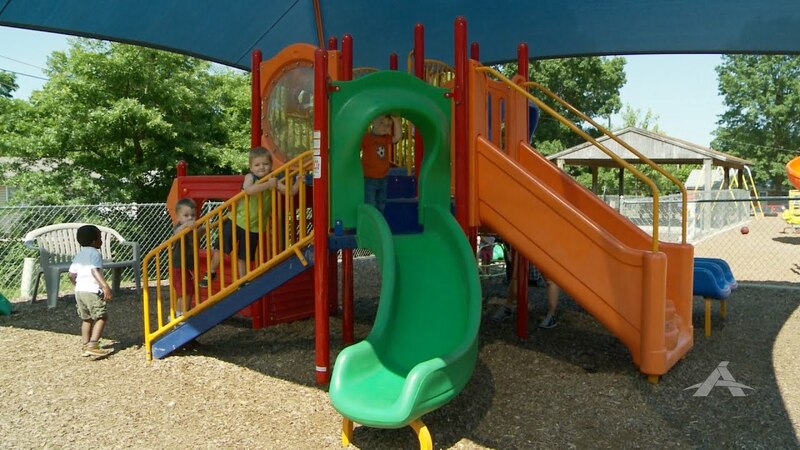 Missouri determined that its state establishment clause forbids it from providing an available benefit to children—a safe playground surface—simply because the playground is on church property. The term’s remaining marquee case. Trinity Lutheran Church has faithfully served the people of Columbia, Missouri for over 90 years. Whether providing support for foster children, donating labor, food, and funds to a local county food bank, or helping with Habitat for Humanity building projects all over the community, Trinity Lutheran Church lives its mission to make disciples. Trinity Lutheran Church of Columbia v. Comer is one of the most important religious liberty cases before the U.S. Supreme Court in years. This case is about a religious preschool that was rejected from a state program that provides reimbursement grants to purchase rubberized surface material (tire scraps) for children’s playgrounds. The preschool was ultimately denied the grant for its playground solely because the playground belongs to a religious organization. At its core, the Trinity Lutheran playground case strikes at the heart of American jurisprudence, asking: What is fair play in a pluralistic society? Q. Who uses the playground at Trinity Lutheran’s Learning Center? A. The preschool has an “open gate” playground policy. It is used by the preschool students and open to all in the community. The playground is frequently used by children in the neighborhood after-hours and on the weekends. Q. What is Missouri’s Scrap Tire Grant Program? A. The state program provides reimbursement to non-profit organizations for rubber safety flooring for their playgrounds, using recycled tire scraps to make a “pour-in-place” rubber surface. Q. Why did Missouri create the Scrap Tire Grant Program? A. To decrease the amount of used tires in Missouri’s landfills and illegal dump sites and foster children’s safety. Q. How does Missouri evaluate who is eligible for the Scrap Tire Grant Program? A. The state ranks application according to secular and neutral criteria. Some of the criteria include whether the application describes the project in adequate detail, whether the project utilizes scrap tires from within the state, the percentage of low income families in the school and the community, and whether the school presents a detailed plan for installation. Being neutral to religion doesn't mean targeting churches and people of faith for discrimination. Would you like to set up an interview?